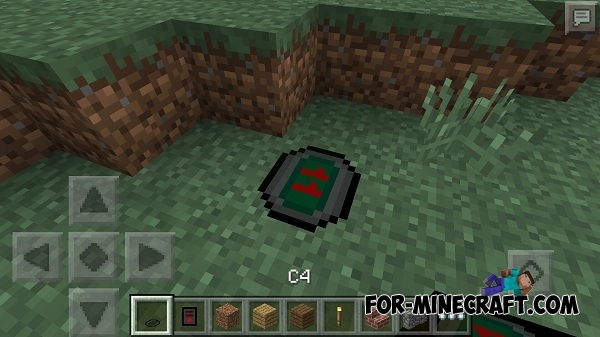 This mod adds C4 to MCPE 0.14.0, which you can to plant anywhere, activate, go away and explode. You can get all items in the creative inventory. Firstly, take the bomb and plant it somewhere on the ground. Now take the detonator in hand and tap on the C4 by this item. You will see a message in the chat, a bomb is activated. 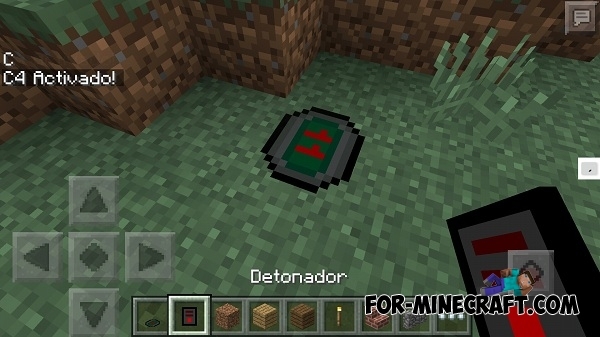 Now move away and press the button on the right side of the screen to activate and explode the bomb. 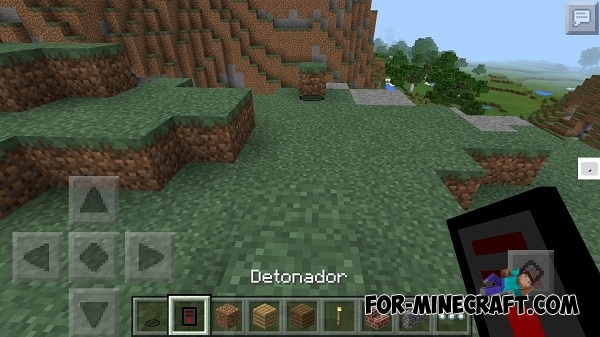 Open the "texture pack" section and click on the "Import"
Open «ModPE scripts» section and click on the "Add"